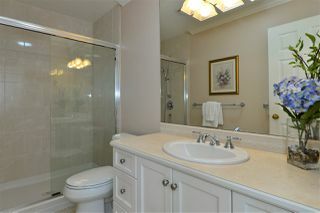 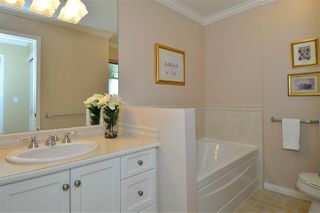 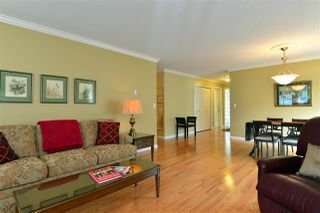 DETACHED TOWNHOUSE IN OCEAN BLUFF COURT II. 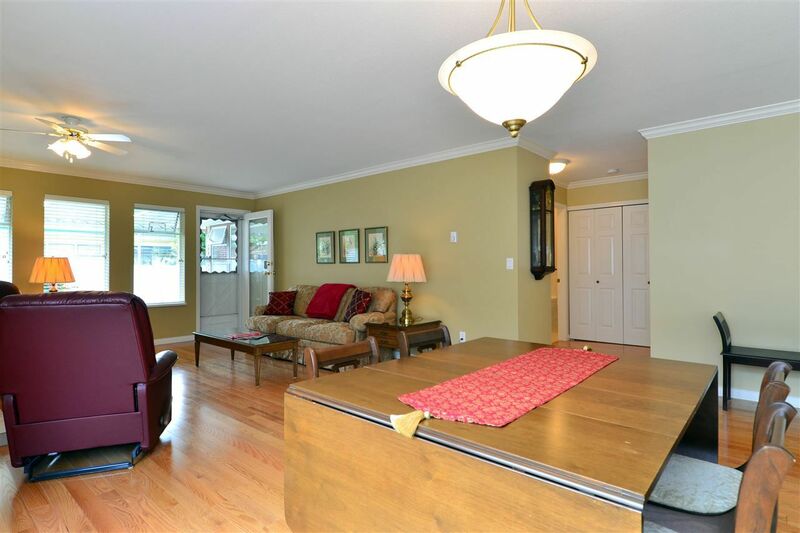 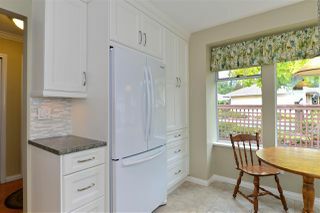 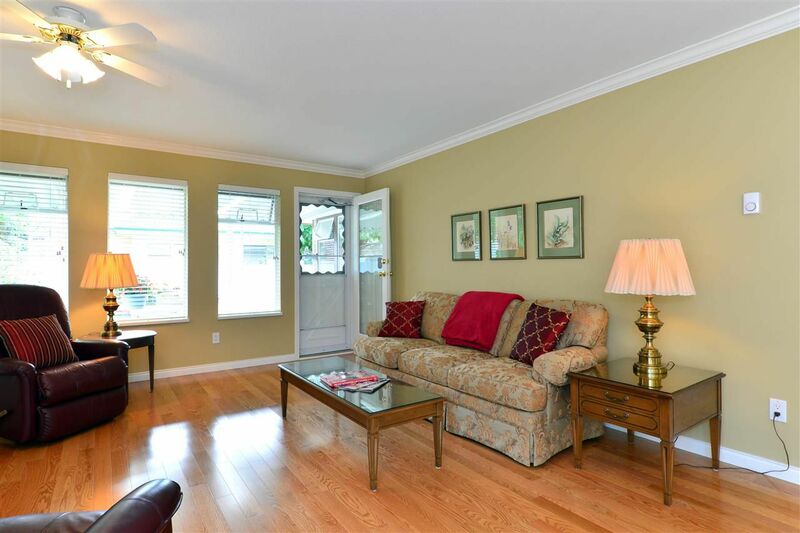 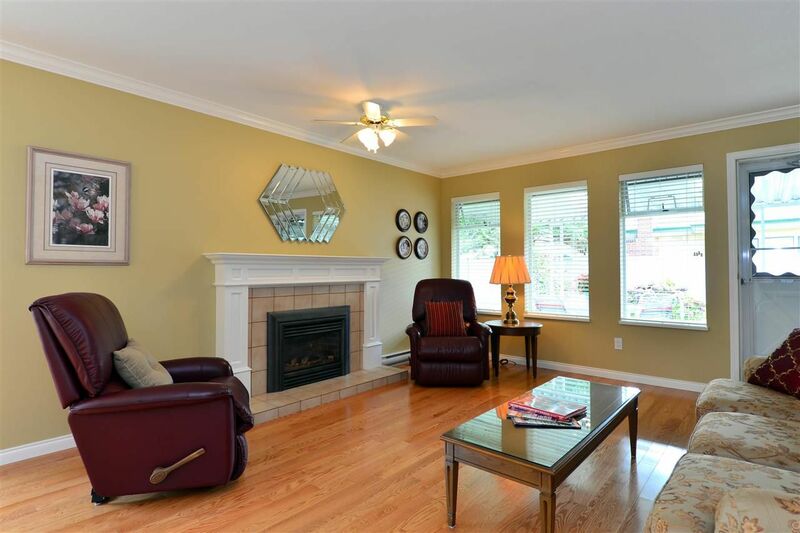 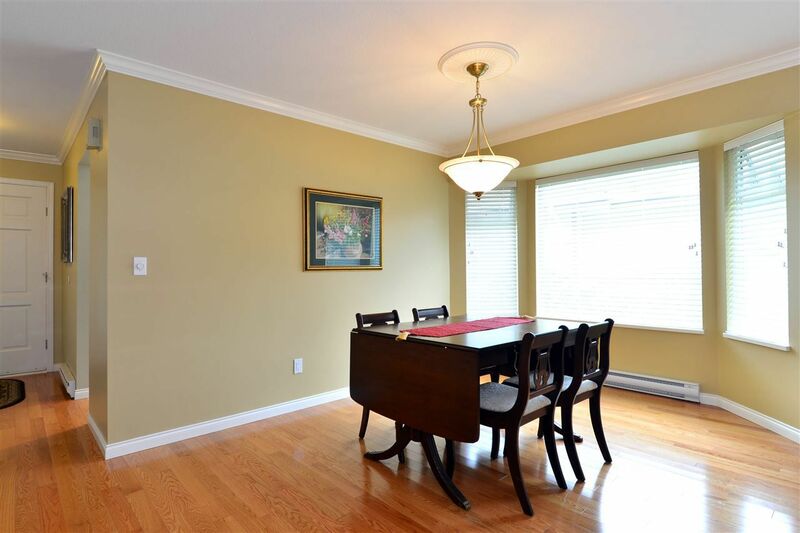 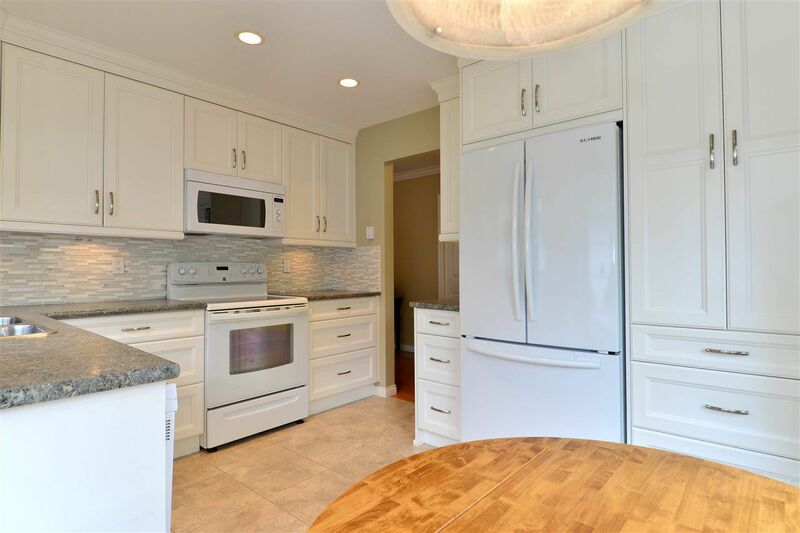 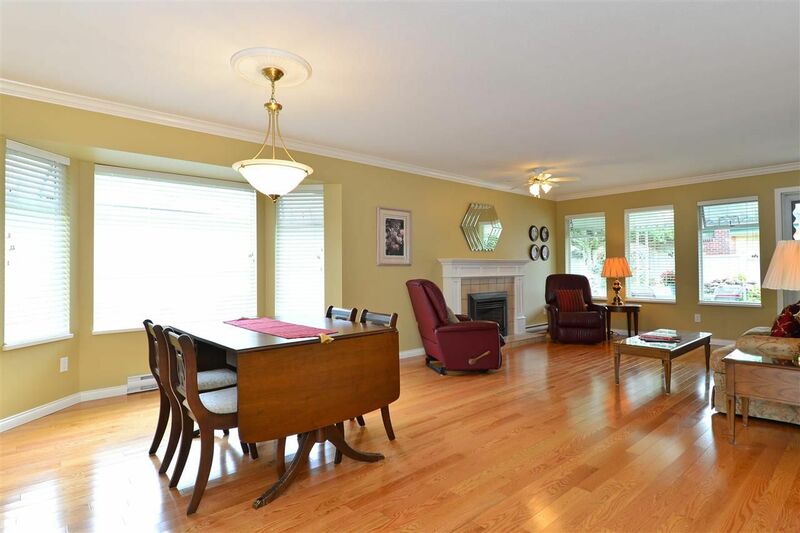 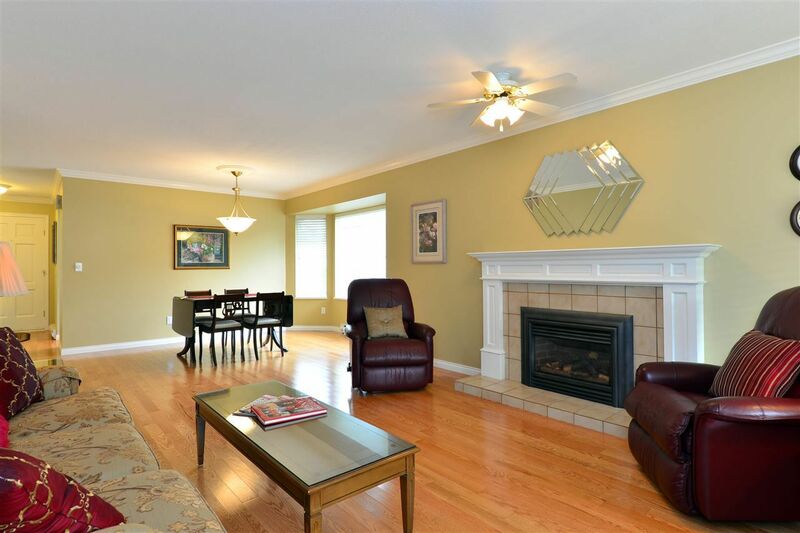 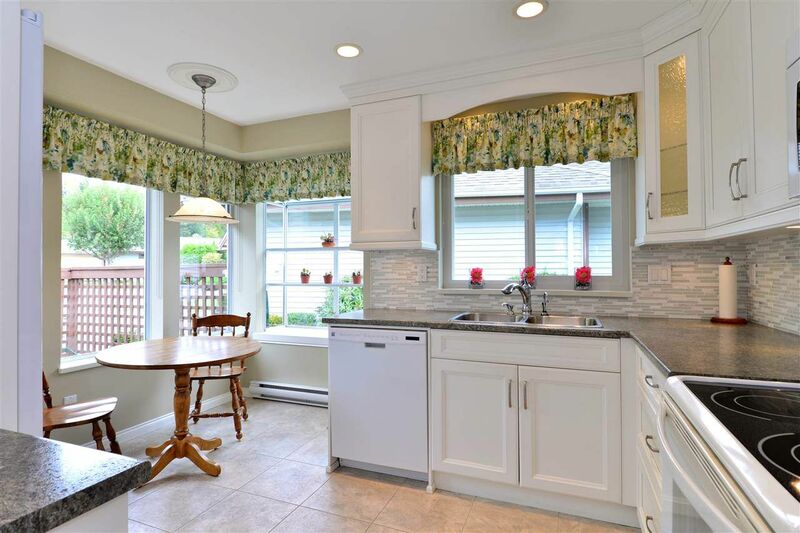 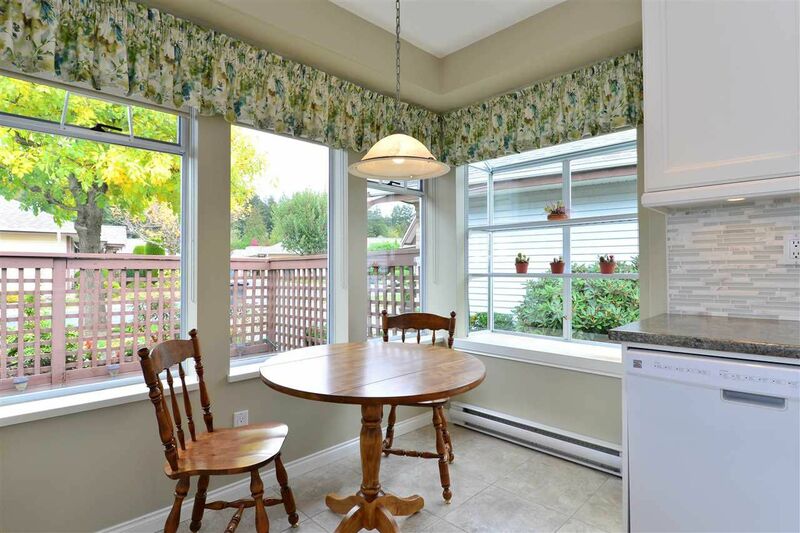 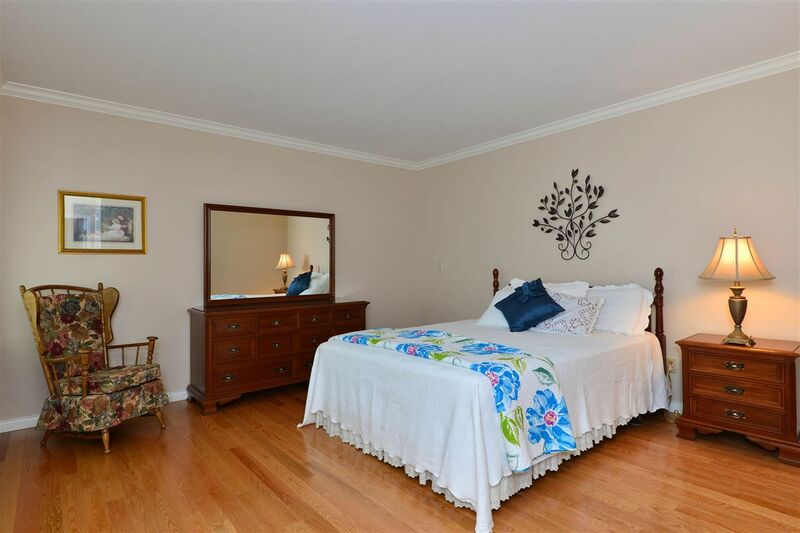 Meticulously maintained & beautifully renovated this 2 bed, 2 bath townhouse has it all! 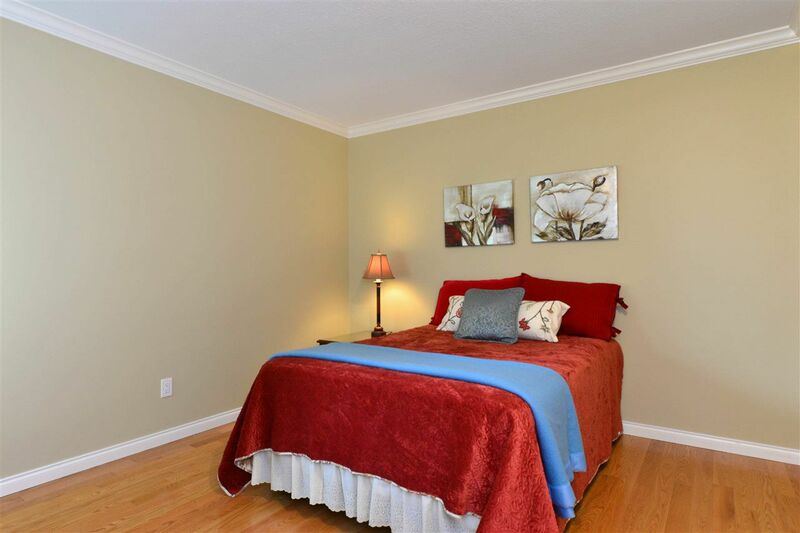 Many updates including gorgeous oak hardwood floors throughout, bathrooms, crown mouldings, baseboards, & baseboard heaters. 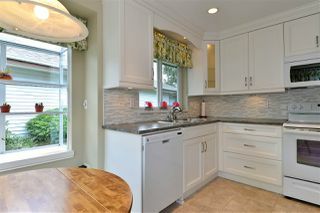 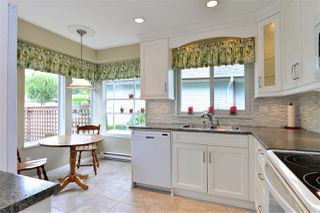 The bright eat-in kitchen has been renovated from top to bottom including lighting, cupboards, counters, flooring & appliances. Large living & dining area is perfect for entertaining. 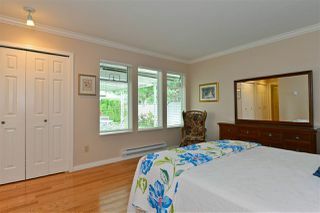 Well located in the complex with a private south facing yard, patio & garden. 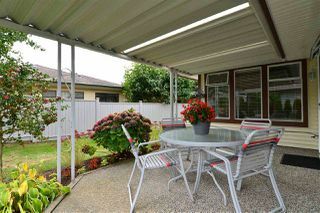 Enjoy morning coffee in your front courtyard. 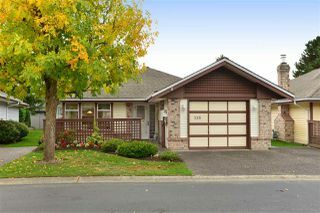 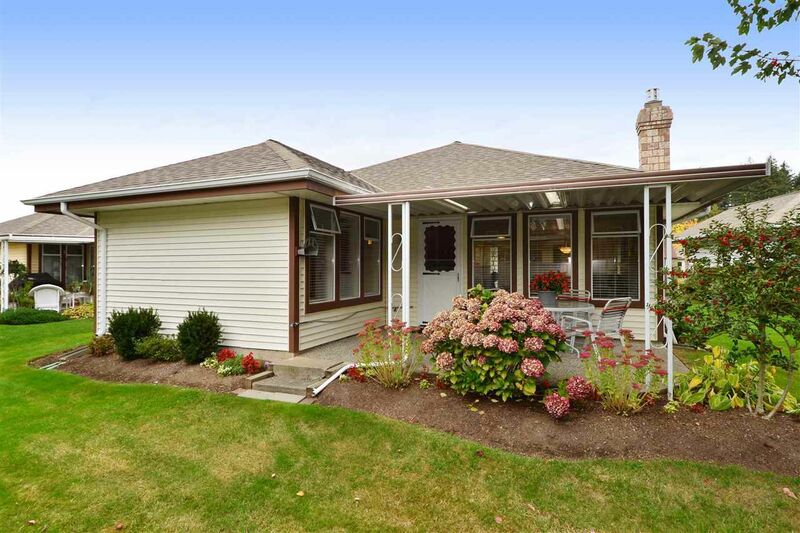 Complex boasts lovely grounds with mature landscaping. 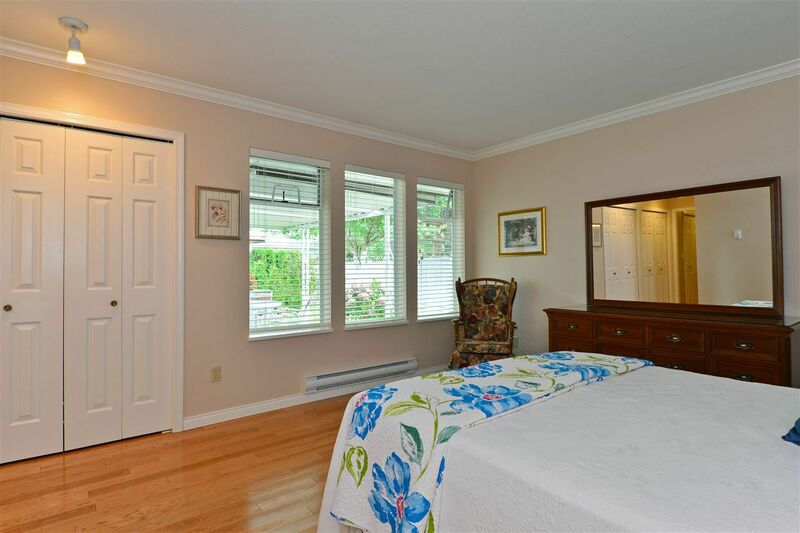 One block walk to the bus; walking trails, South Surrey Rec Centre are only minutes away. 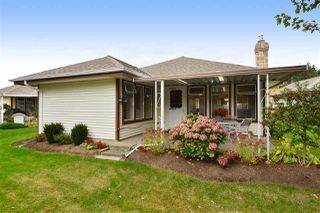 Age 55+, no rentals, 1 pet.